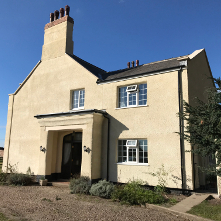 S. Voase Builders are pleased to have eventually carried out the internal and external refurbishment of the farmhouse after tendering and negotiating for the works over a 4 year period. 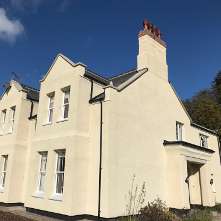 The works were programmed to take 12 weeks and were actually carried out in 10 weeks. 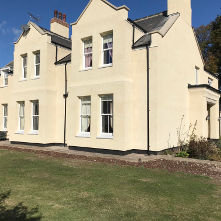 The repairs carried out included roof repairs, gutter replacement, replacement windows, provision of an insulated render system, surface water drainage, internal DPC, electrical, plumbing, plaster, skirting, coving repairs, as well as full decoration and flooring.